It is a fact that there are only so many hours in the day, and you already have most of these filled. Who couldn't use some practical cleaning tips to get your thought the day? As a working person in Singapore, you have your hands full! Working a full-time job, finding time for your kids, and trying to be a good wife or husband leave little time for much else, like finding time for yourself or cleaning your house. 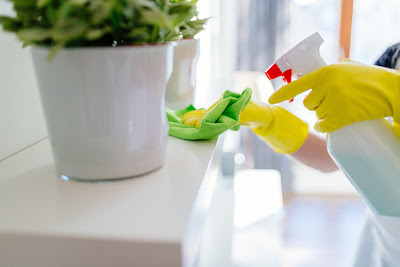 There is the option of having a cleaning service to clean your house, but having a maid in your home once or twice a week is expensive, and if you are like most folks these days you are trying to find ways to save money not spend it. That leaves trying to locate the time to clean the house amid everything else that is going on in our lives. All is not lost, while your home may not pass Martha's Stewart's white glove test, you can have a home that is neat, organized, with clean kitchens and bathrooms, all fit into your busy schedule. So, what advice and hints are available to the working person in Singapore? Some of what we write about in our cleaning guide is to organize yourself and develop a plan of attack. 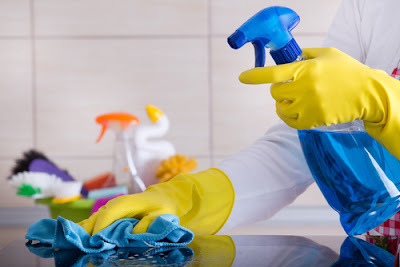 The key to maintaining the cleanliness of your home with the little amount of time you have available for doing laundry, folding clothes and scrubbing the floor, is having a plan, being organized, and using your time wisely. If you are thinking, "oh, this isn't important"...STOP, the secret to house cleaning when time is limited or to speed cleaning is to develop an overall strategy of what you want to accomplish and how you will accomplish it. Your home is one of your very few places of refuge, and it will only be right that you keep it safe, clean and comfortable for you and the rest of your family. So if you need a little hand, you have come to the right place. Read on some more and get great and straightforward home cleaning tips that you can easily follow today. So to help us get a handle on how to clean our home with the little time available to most working people in Singapore, we have to break these cleaning tips into five. -It gives you some peace of mind knowing what is important and what is not when everything else in your life is so busy. -it allows you to develop a plan of attack to accomplish the house maintenance and cleaning during the week. The next thing is to develop a strategy for how we will accomplish our overall cleaning project. The program does not need to be elaborate, nor do you need to spend a lot of time on this, but it is important that you write your plan down so you can refer to it later. Your cleaning plan should be broken down into Daily, Weekly, Monthly, and Annually areas and list what tasks should be accomplished in each field. For example, maybe the removal of garbage cans you want to be done every day, but the shower only needs cleaning once a month. It is not common for some homes to clean their upholstery every day, but for the proper maintenance of your furniture, you will want to ensure they get a good cleaning once a year. You are not in this alone. Once you have your plan created, it is time to assign all of the required tasks to the other members of the family. 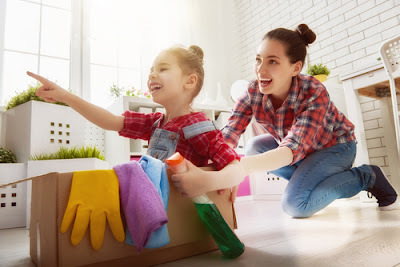 Often mom is responsible for the bulk of the household cleaning, the family maid, but if mom is also working this puts a significant burden on her. So, let us balance the load and get everyone on the house cleaning plan. Every member of the home will have daily, weekly, and longer term cleaning chores. Now it is time to put the plan in motion. Everyone has assignments and knows what needs to be done; now you just need to monitor their progress. In essence, you are transformed from a maid into a project manager, closely following the progress of all of the cleaning and maintenance activities. Your little army of dirt makers is transformed into dust buster's, your little band of house cleaners determined to rid the home of unnecessary dirt, odors, and stains! Ok, maybe I got a little carried away, but you will see a difference in the cleanliness of the house and the personal responsibility of the rest of the family. This is crucial and should not be ignored. Occasionally you need to review your plans and ensure they are still working. It actually could be part of your plan, to review once a quarter to determine if the household cleaning is going as planned. More often than not you will make changes to the plan, and actually, you are encouraged to review the plan more frequently, in the beginning, to account for the likely changes needed to make it work smoothly. Remember, the real secret to a clean home in Singapore is simple and this is a regular cleaning habit. The more you delay the cleanup, the larger and the more tedious the task will turn out to be. So always plan ahead. Make sure that you give yourself time off to clean the entire house and of course, to rest and relax after the tiring activity. So remember always to keep these home cleaning tips in mind. House cleaning in Singapore doesn't need to be a stressful ordeal you subject yourself to every day. With proper planning and cooperation from the people you live with, it could be kind of fun.